I'm back from Boliva and am quite pleased with my first international assignment. I regret to say that, unlike what we would like to believe, it isn't possible to blog from every corner of the world; well, unless you can pay for satellite. Since I cannot afford the luxuries of world blogging the photos I have taken over the last ten days have added together to form a very large number. So, for now, I give you "WonderDog." 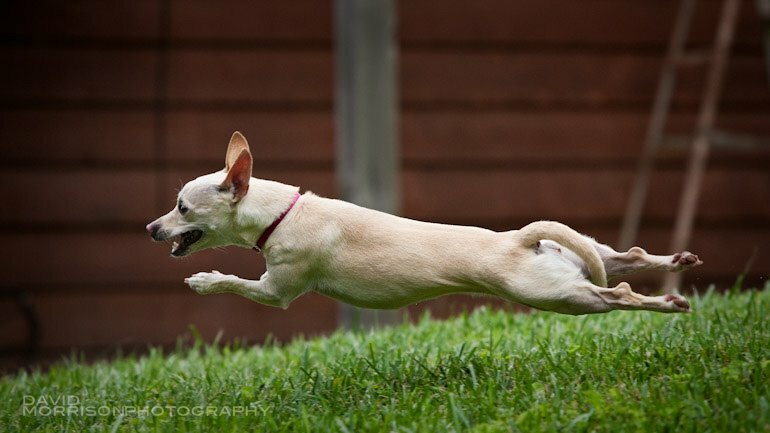 Chai is capable of leaping over tall buildings and small people when on the prowl for tennis balls. Here is a rare capture of this athletic creature in mid flight. the casual grin coupled with the full body extension. effortless movement by the lil bugger. nice capture david. Oh that is good...real good!